James and I met in New York this weekend (he had meetings and so did I but couldn't get there in time on Friday because of snow). Last night we ate at The Palm with his parents and family friend. The steaks were perfectly prepared and the signature cocktail list is very inventive. I tried the "Palm Refresh" (muddled fresh basil, citrus infused vodka, cucumber and agave syrup). After breakfast this morning, James' family left for the airport and we made our way downtown to see the 9-11 Memorial at the World Trade Center. Patrons wait in line for a short while and then snake their way through security and construction. 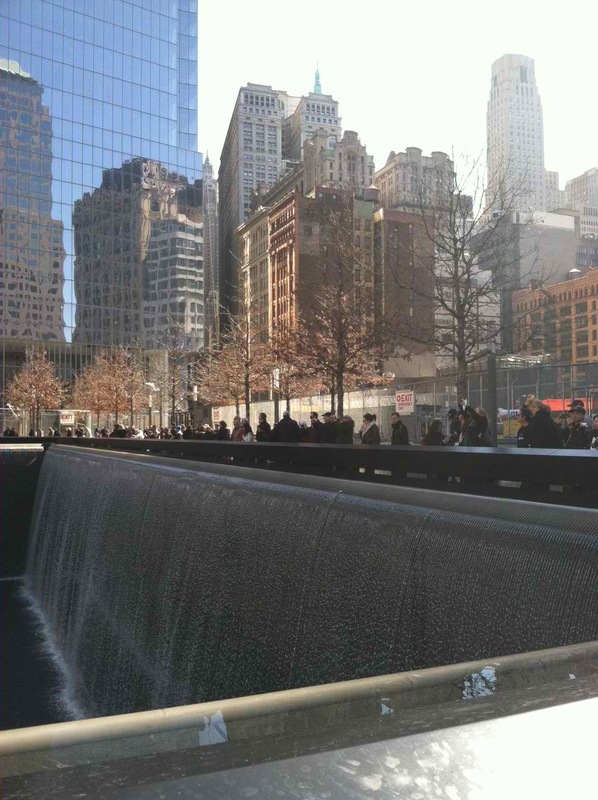 (There is still a LOT of construction going on at ground zero.) 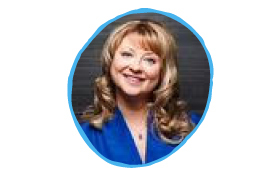 Tickets are free but a donation of $5-$10 is recommended per person. The memorial includes two huge memorial "pools" that were built on the footprints of where the World Trade Towers stood. The pool is a surrounded by waterfalls and the water trickles down into a well and then cycles through again. The sound of the rushing water is very peaceful and if my loved one was last alive at this spot, I would find it as a suitable resting place for their remains. 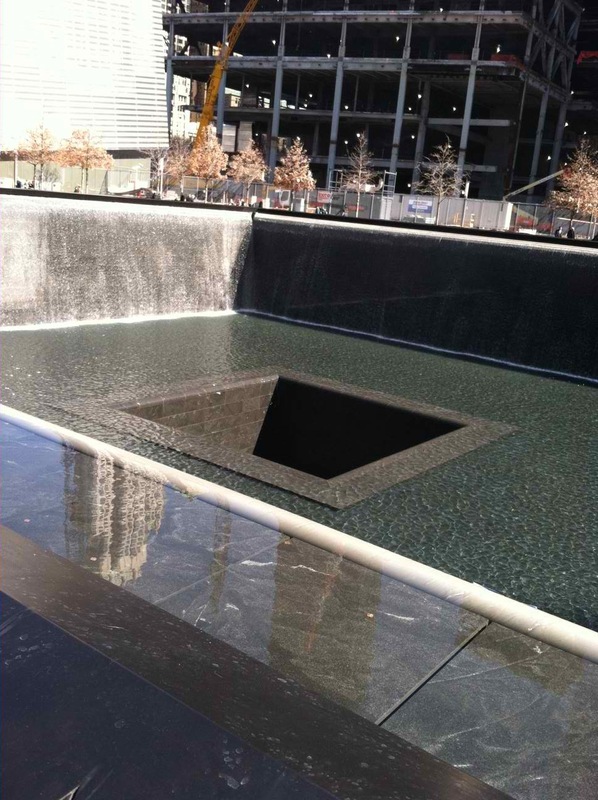 The grounds are clean and reverent with victims' names listed on platforms surrounding the pools. My favorite feature of the memorial (the museum hasn't opened yet) is the Survivor Tree. Some of the construction workers found a tree at the site under rubble in 2001. 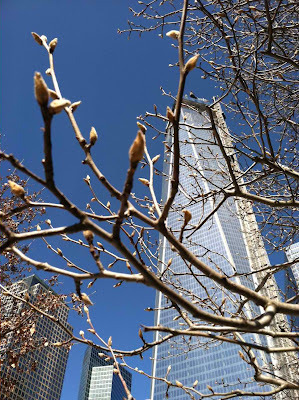 The tree (originally planted in 1970 outside the World Trade Center) was still alive but in bad shape. After someone cared for it and brought it back to life, it was replanted on site. 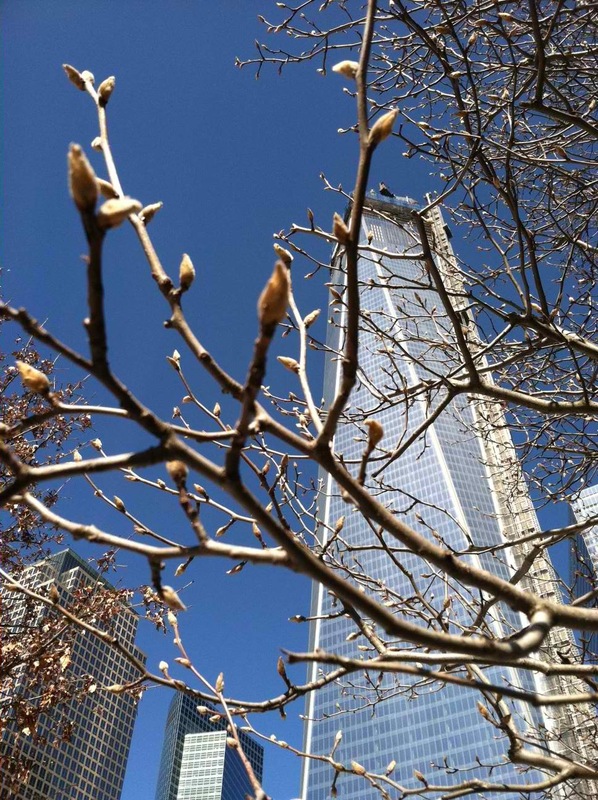 Today, tiny buds were forming on the branches against the backdrop of the new World Trade Center building. It was comforting to consider the symbolism: another tree survived the winter and was stretching toward the sun.